This is the Anastasia Lighthouse. 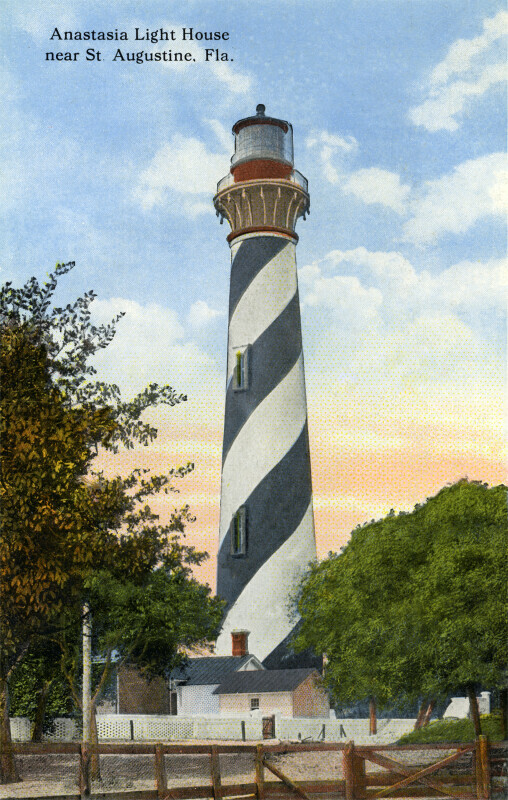 The black and white spiraling stripes indicate the location of the lighthouse. The dome at the top of the lantern (or lanthorn) is black. There are multiple wood frame buildings around the base of the lighthouse. There is a white picket fence around the buildings. In the foreground, there is an unpainted, wood fence. There are deciduous trees at both margins.